Musina FM’s Areaganeng show presenter, Portia Raphalalane interviewed Messina Legal Advice Paralegal Mr. Jacob Matakanye on the issue of poorly build RDP houses given to the residents. 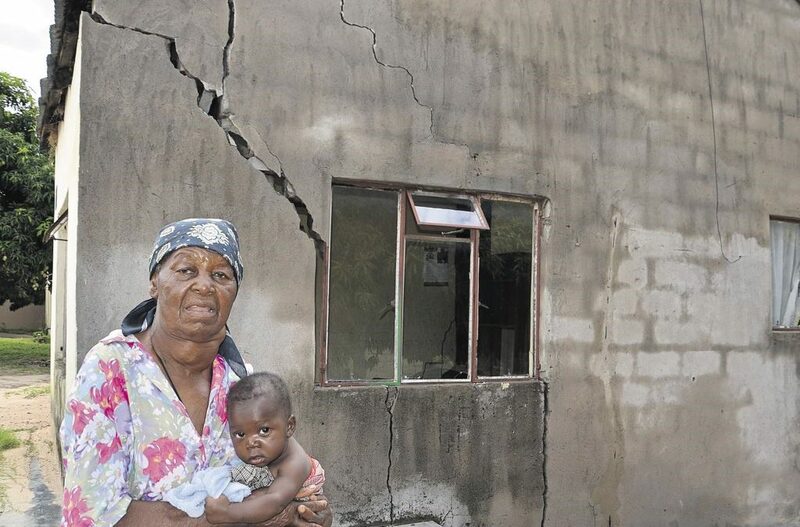 Faulty procurement processes and corruption are major causes of shoddy work in the construction of government’s Reconstruction and Development Programme (RDP) houses for the poor. This comes from the unhappy beneficiaries of RDP houses, who have legitimate complaints about cracks, leaking roofs and even houses that collapse during rainy weather. The weaknesses had resulted in poorly built RDP houses across the country, costing the state millions of rands to fix or rebuild the houses. These findings were contained in reports from various state agencies, including the National Home Builders Registration Council (NHBRC), the Construction Industry Development Board (CIBD) and the Public Protector. What can help people to understand key steps in the building process and about general housing building and construction companies? What size, type and price range of home do you need? Quality building material and experienced builders matters. Verify the builder is licensed (where required) and adequately insured. Warranty and service. How does this builder stack up for each? Have past homes from this builder maintained or increased value? Industry involvement. Is the builder a member of the local Home Builder’s Association? This is another weekly show for the CJN project and every week the paralegals bring an exciting topic that affects us all.